The Paul Frank x Native Designers collaboration has been finally officially announced. While I am undeniably thrilled about the announcement and all that it represents, the press release failed to mention the various factors that led to this collaboration, which is an incredibly important aspect of this story. Last September, the lifestyle brand Paul Frank hosted a "powwow"-inspired fashion event that featured some questionable party favors and activities. You can read about it here and here. 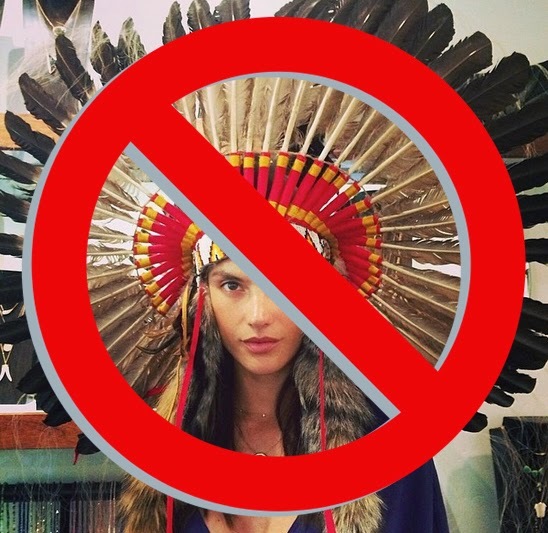 After a sizable backlash from people from Native American communities and our allies, the brand removed over a thousand images of the event from their Facebook page, and the president of the company, Elie Dekel, reached out to myself and Adrienne Keene of Native Appropriations. He reached out to the two of us, I think, because we had been the loudest in pointing out the obvious racism behind this event. While leaders in most major companies are comfortable with being unethical, racist, and sometimes illegal (ahem, Urban Outfitters), a company such as Paul Frank, which boasts kids and their cool progressive parents as their target customers, probably felt a little queasy with that label. In addition, Dekel is a major proponent of philanthropy, and so it began - the gesturing to apologize for this major slip-up. It began with a phone call and a promise to move forward. Months of phone meetings and to-do lists - no monetary compensation, but a promise to provide a platform. 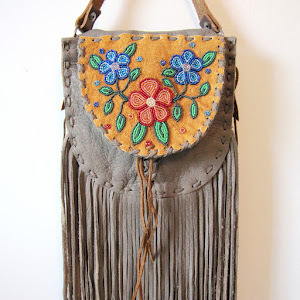 And a platform is like gold for Native people - it's the thing many of us have been continually denied because, as I was informed by a reporter, our stories and accomplishments just aren't interesting to a broad enough audience (but non-Native people being "nice" to Native people, now THAT'S newsworthy). Adrienne and I delivered as willing consultants on this collaboration with feedback and suggestions, lists and info of potential designers, hang tag label info, an article for the Licensing and Merchandising Association newsletter, images and data for a Webinar panel presentation on cultural misappropriation, connections to the host institution for the launch reception, and more. Bridges are built through cooperation, dedication, hard work, and a willingness to understand and work together. 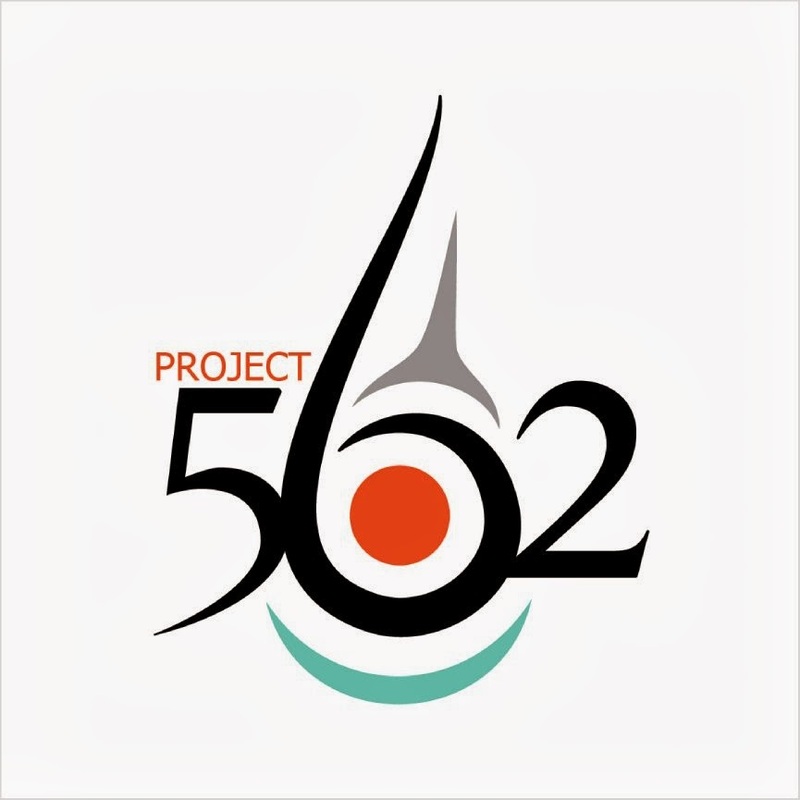 The four designers selected for this collaboration are ideal candidates. 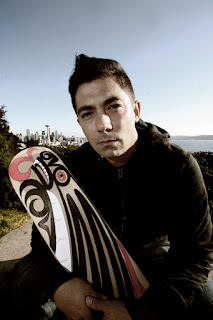 Louie Gong (Nooksack) has been in the Native pop art and design scene for years, most notably for his hand-painted Northwest Coast-infused Vans sneakers. Cree/Metis artist Candace Halcro's beaded sunglasses are topnotch with quality and color patterning. 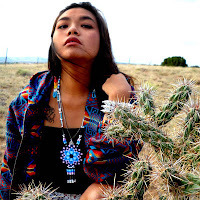 The Soft Museum is a collective of artists who hail from Santa Fe and have connections with the Institute of American Indian Arts - they create fun accessories from plastic hama beads and take the concept of adornment to new levels. 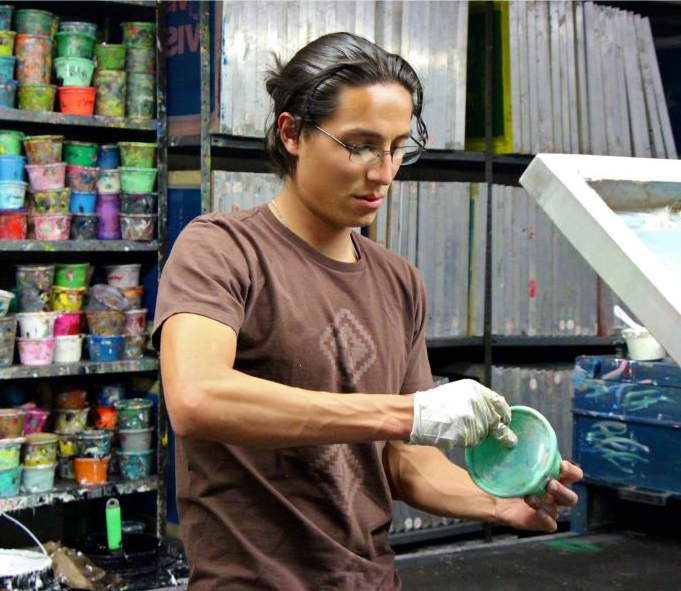 Dustin Martin, a Navajo artist and Columbia University grad, brings a potent blend of crisp graphics and intelligence that infuse streetwear with intellect. Together they are creating a limited edition collection that fuses their own artistic styles with the Paul Frank brand and includes a tote bag by Gong, sunglasses by Halcro, jewelry by The Soft Museum, and a tee by Martin. The collaboration has been a learning project for everyone involved. 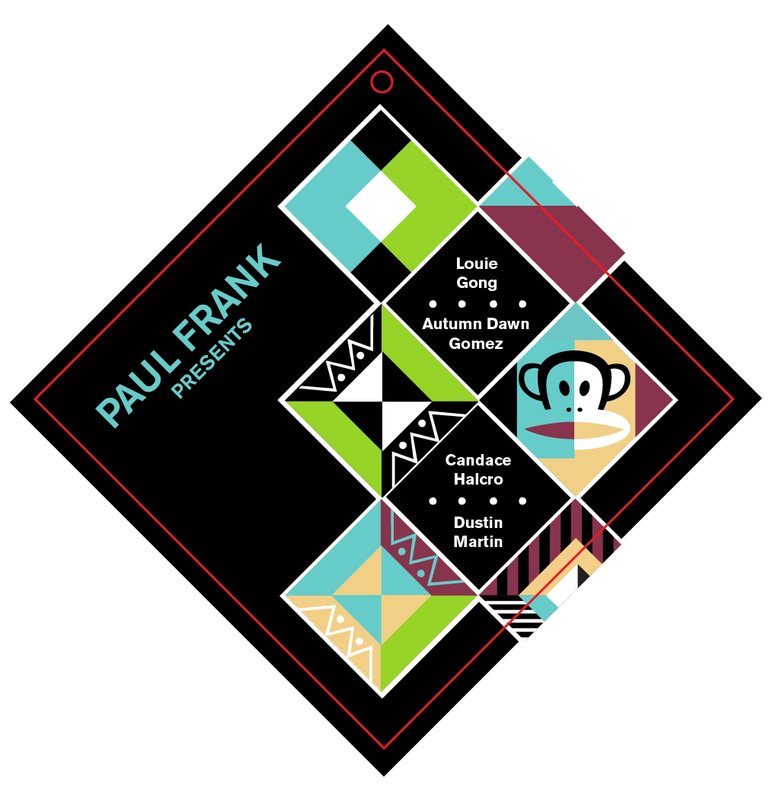 For the folks at Paul Frank, it has been an immersion in Native American education: history, art, sociology, culture, health and wellness. For the designers, the project has involved learning more about merchandising, production, scale, licensing and non-disclosure. For Adrienne and I, it has been about learning how to keep companies accountable and how to remain steadfast and vigilant. Together - as company, artists, and consultants - we are providing a model for appropriate ways to participate in 'culture'-based trends in the future. The official reception launch event will be held in Santa Fe, NM on August 16, 2013 at the Museum of Contemporary Native Arts, where representatives from Paul Frank will be present along with the Native designers and Adrienne and I.